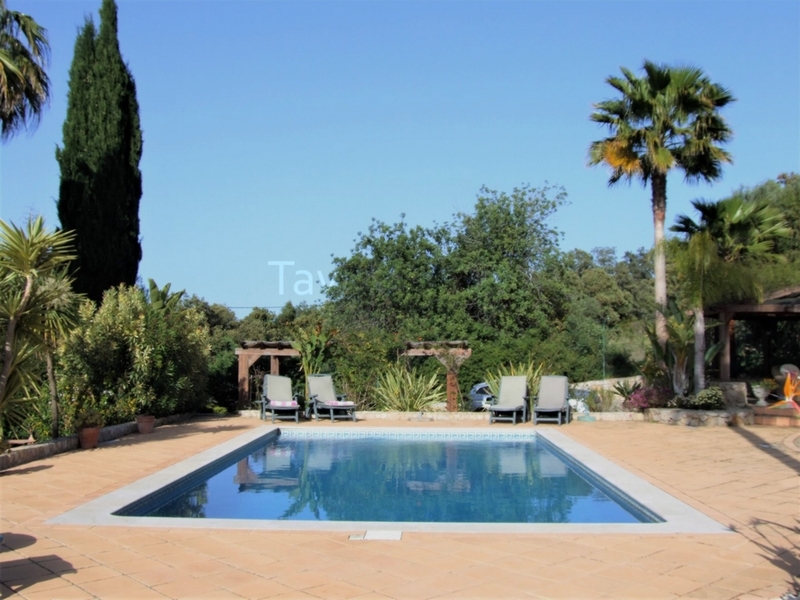 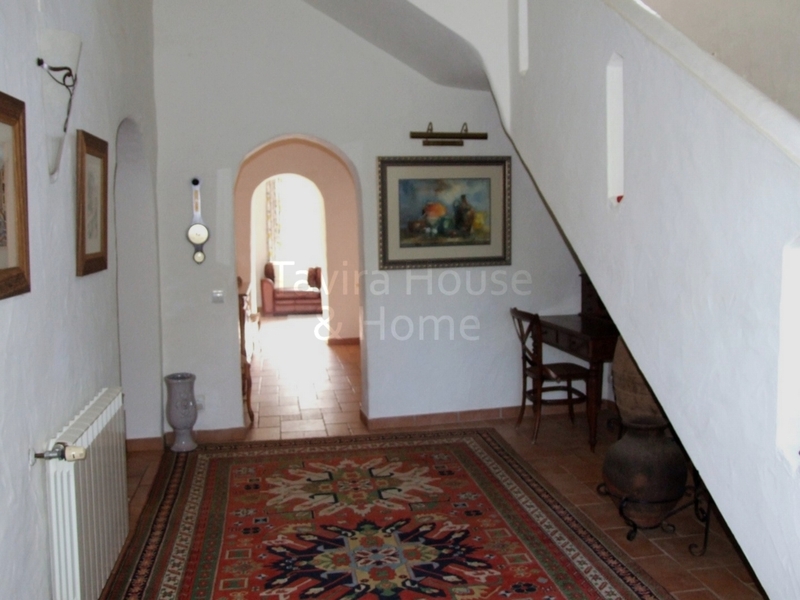 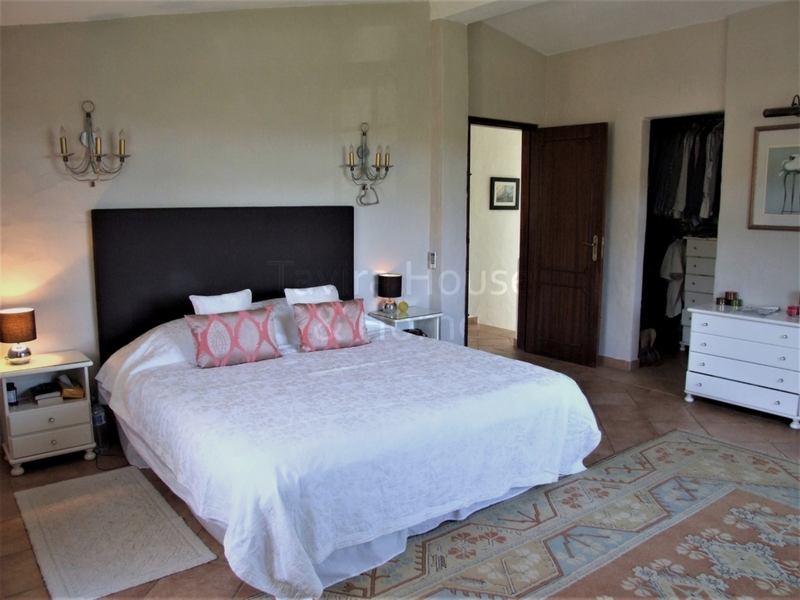 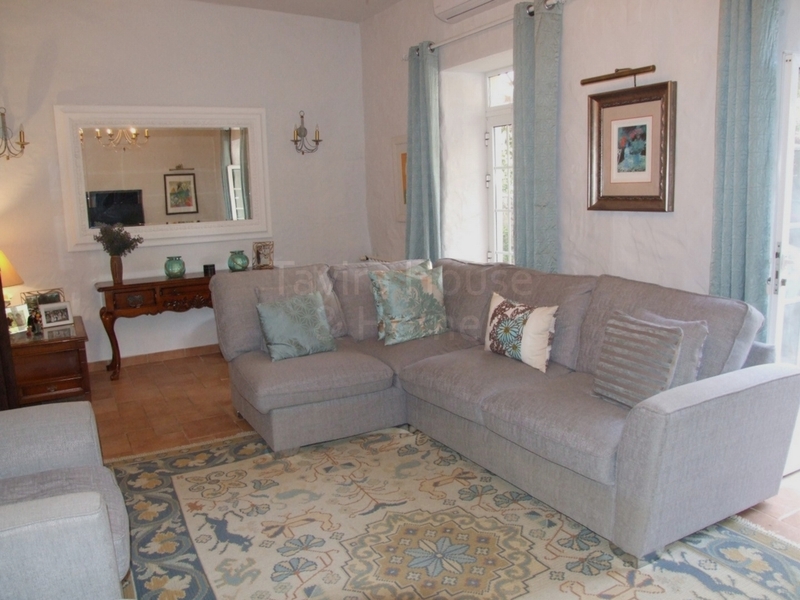 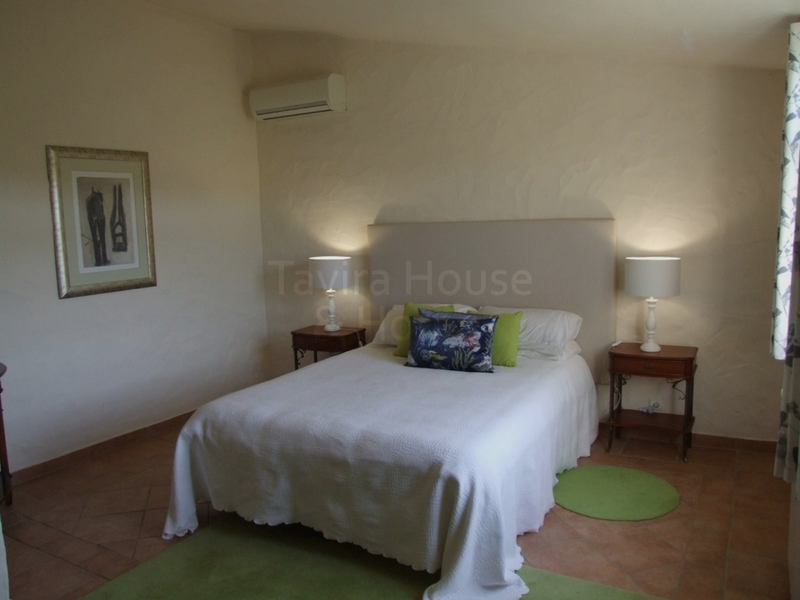 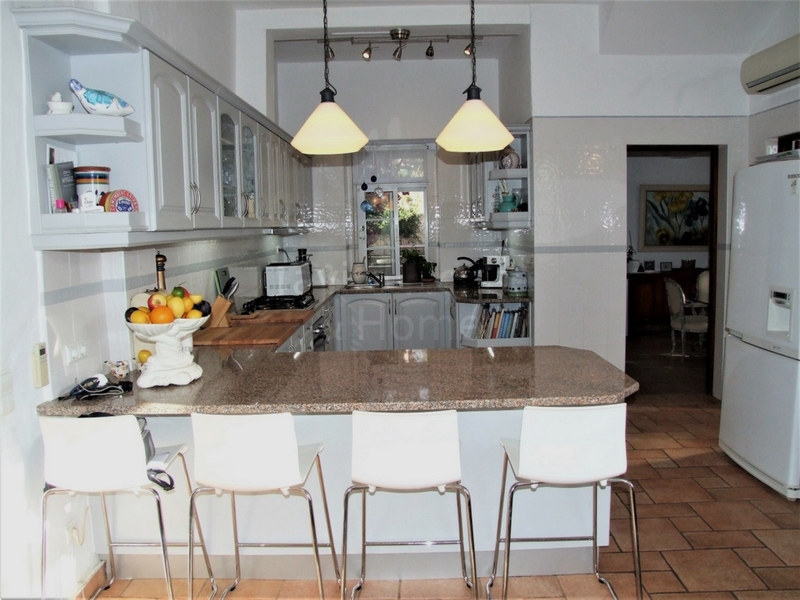 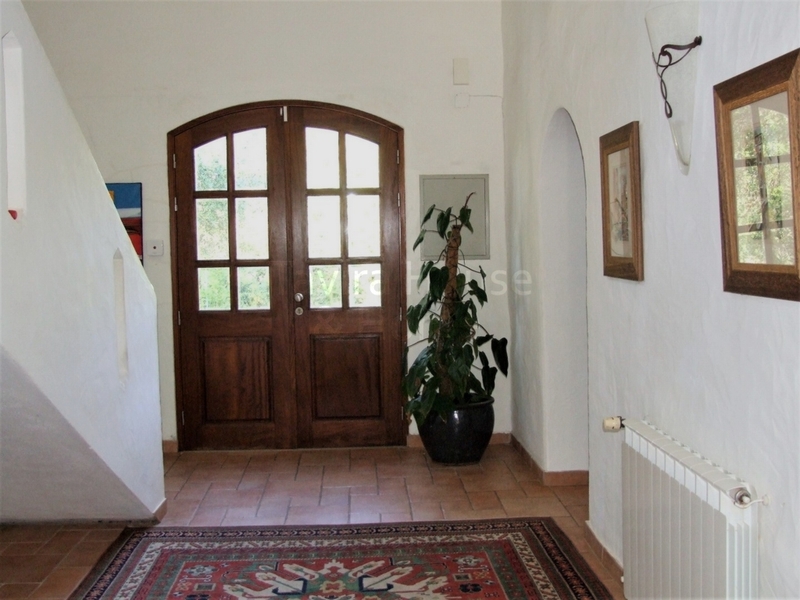 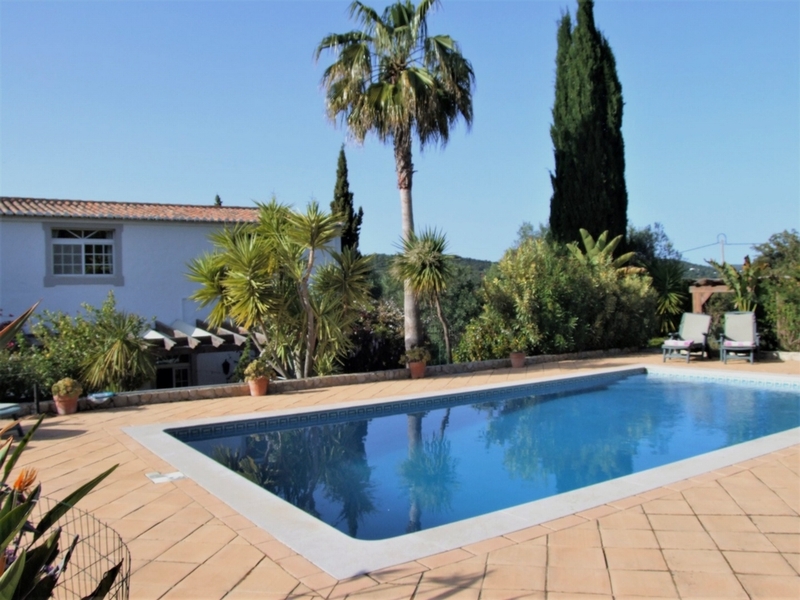 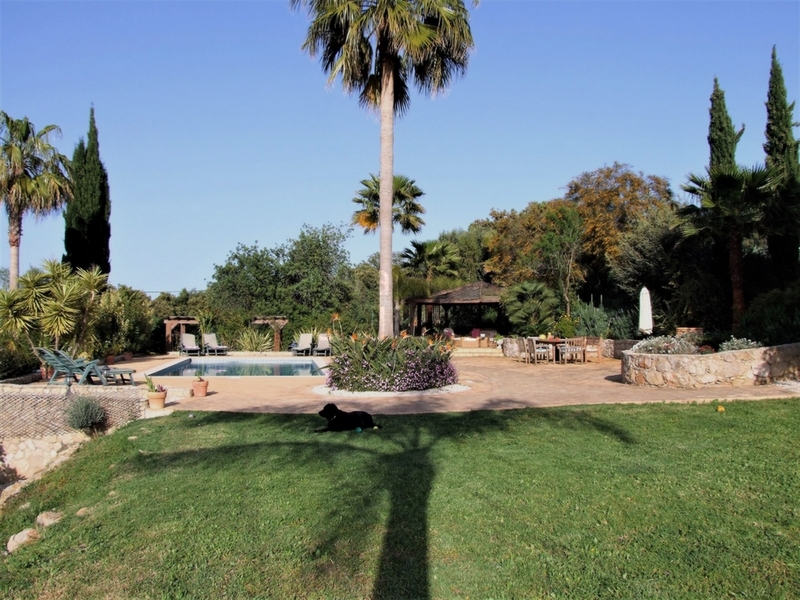 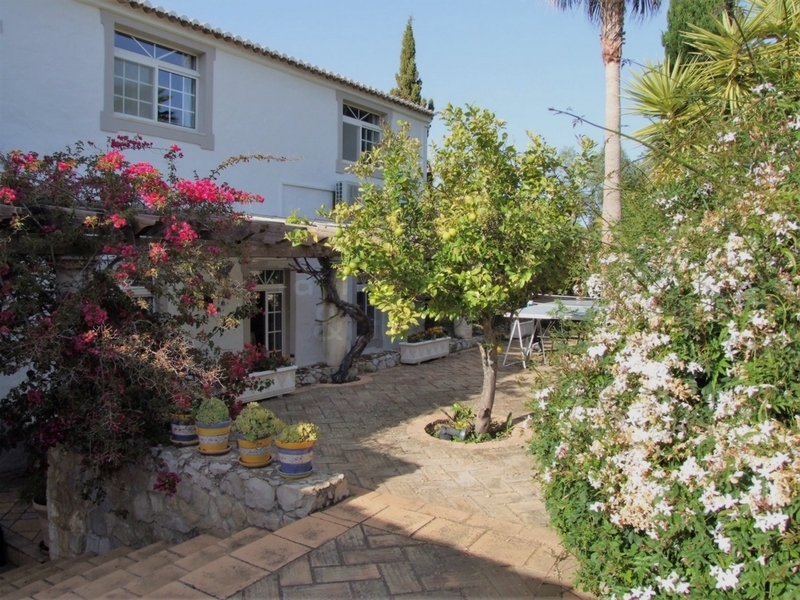 This well maintained Portuguese style quinta is located on a quiet country hillside within well tended grounds just five minutes from Loulé. 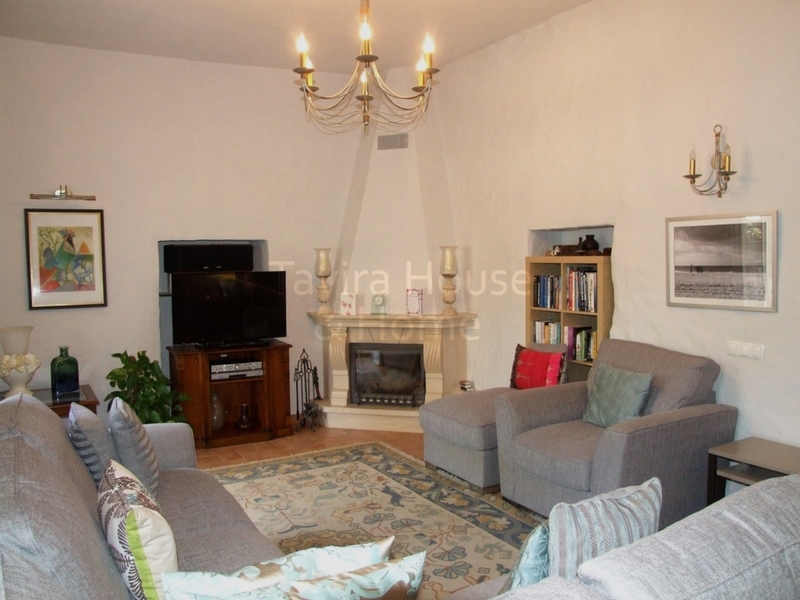 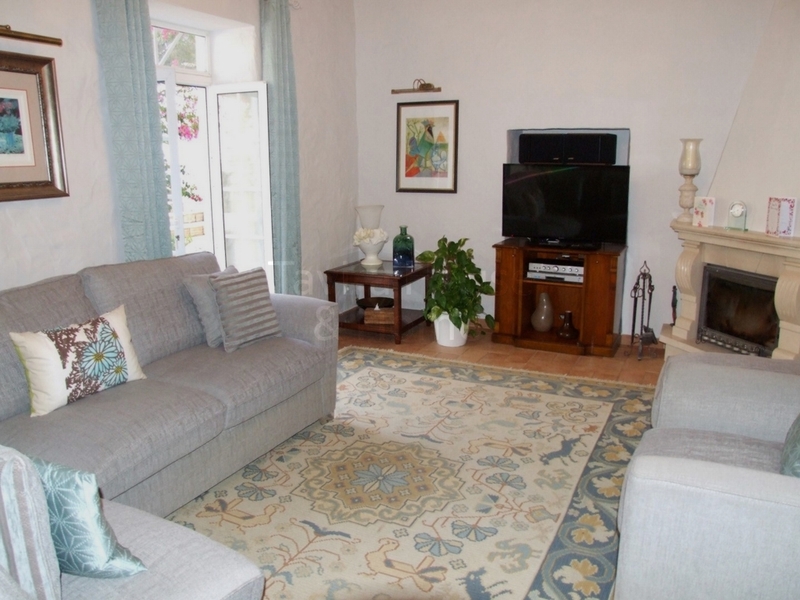 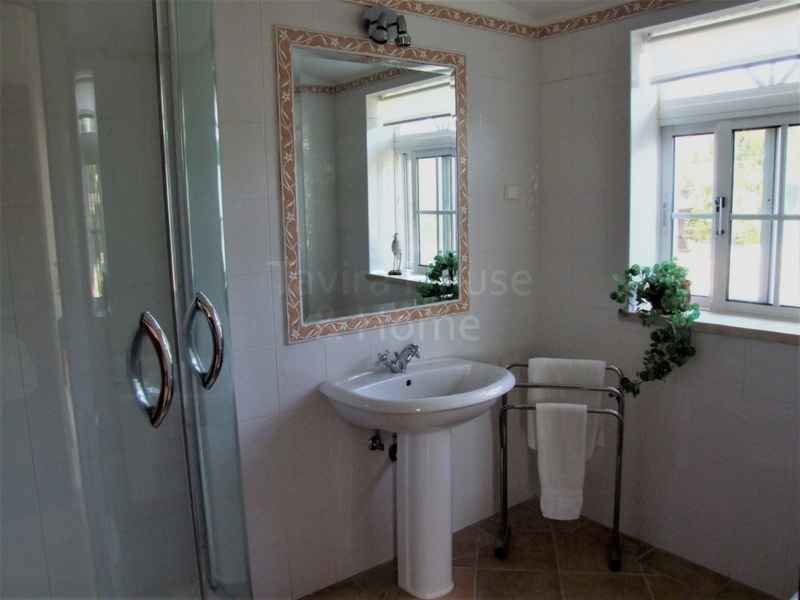 Set over two floors the property is spacious and comfortable with ample kitchen and living areas. 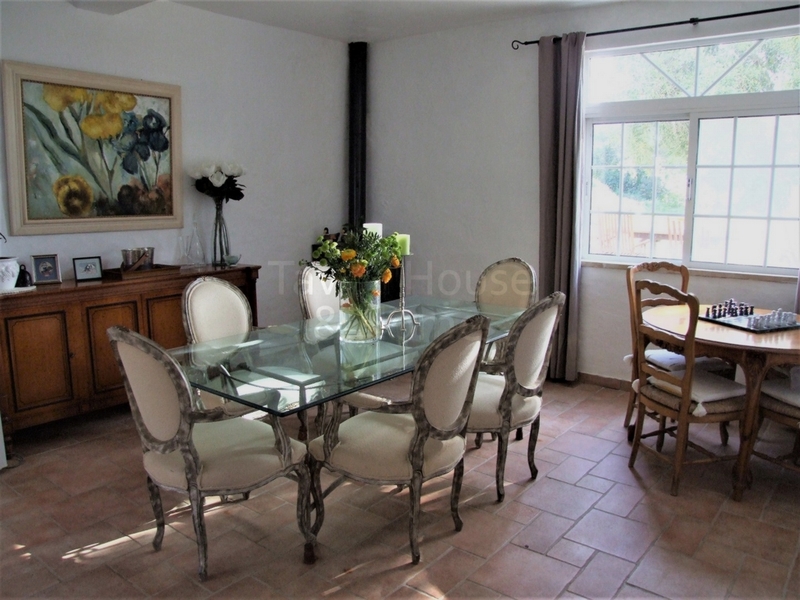 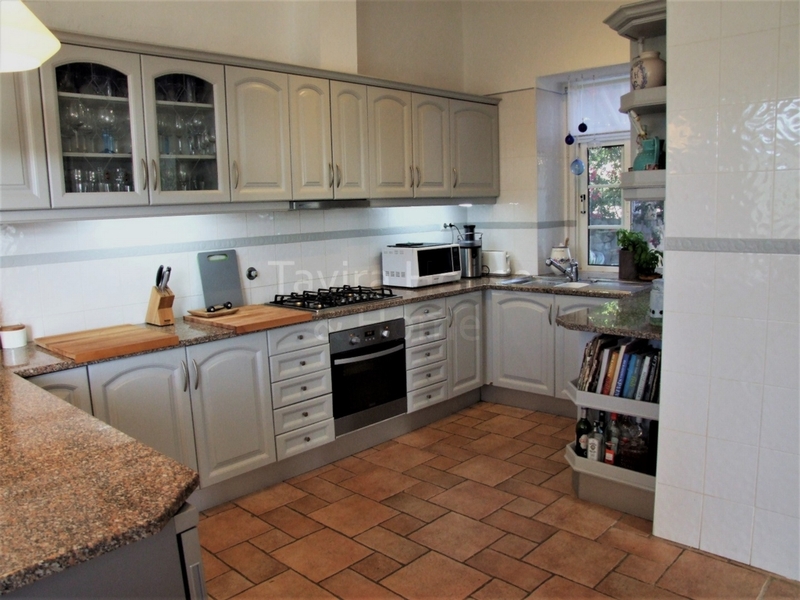 The kitchen leads into a separate dining room which opens out to the garden and there is a snug sitting area separated from the kitchen by a breakfast bar. 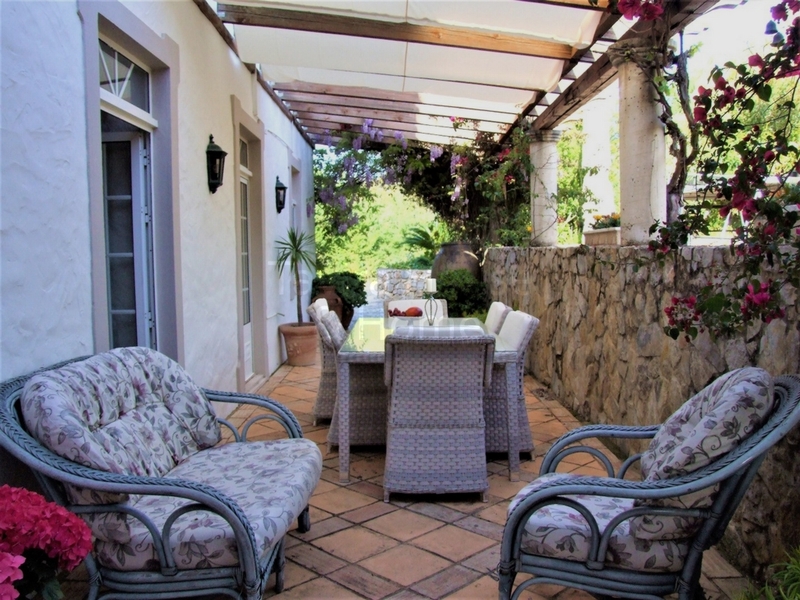 A pergola covered terrace with plenty of space for al fresco dining and relaxing runs the length of the living room with steps at one end leading up to the swimming pool which is surrounded by a terraced sunbathing area. 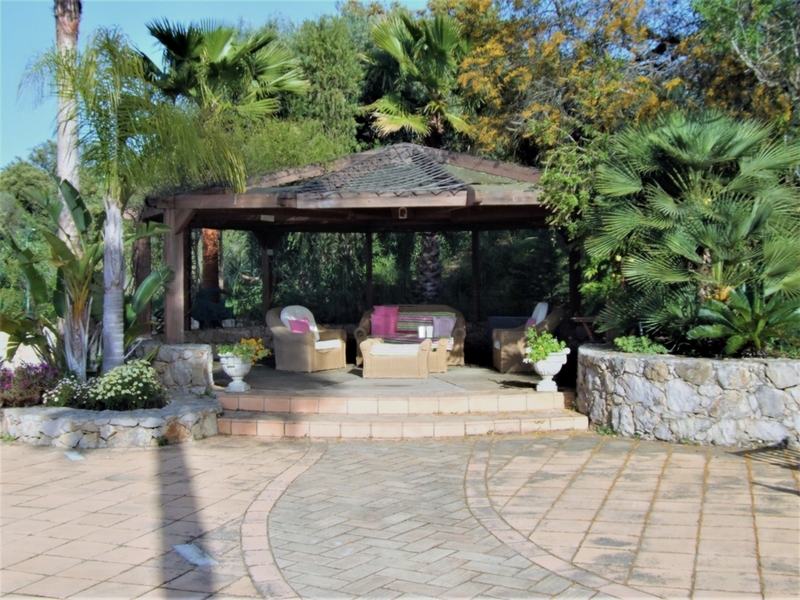 Further up sits a circular thatch covered pergola, brick BBQ and eating area. 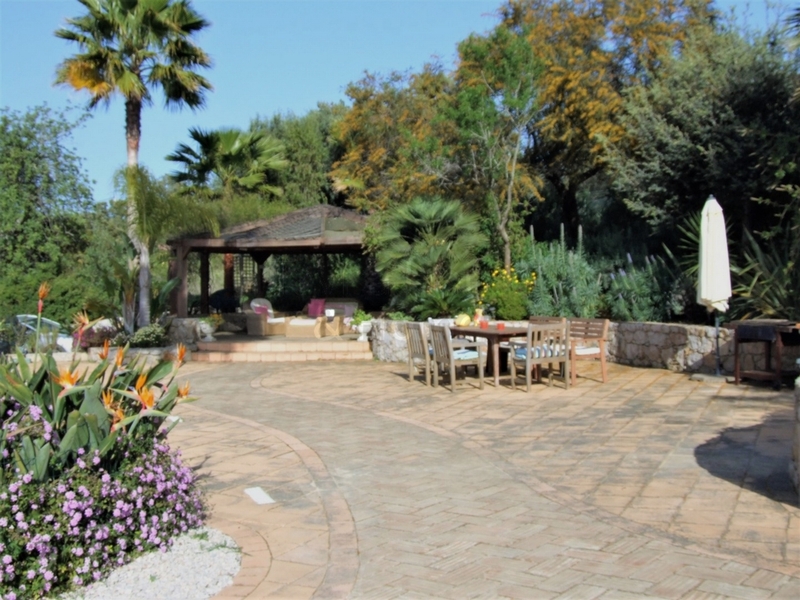 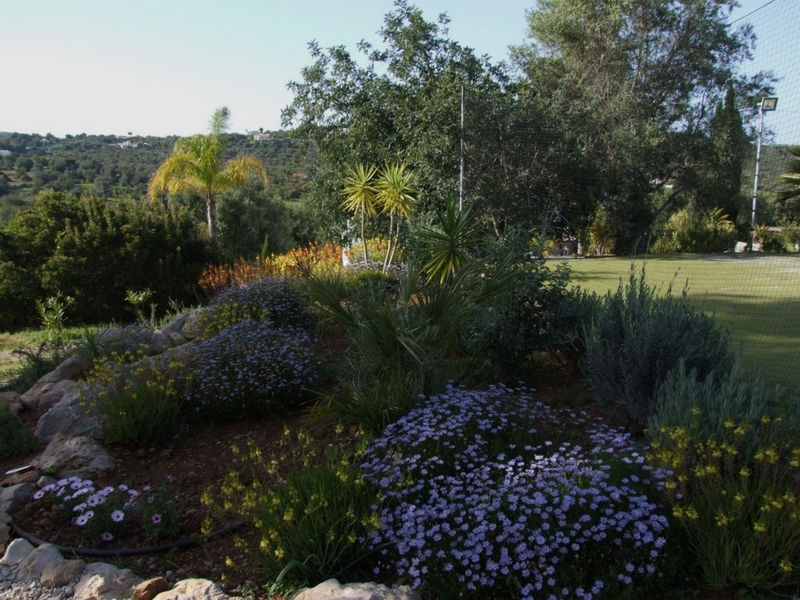 The garden slopes up past a water feature and rockery to the recently built tennis court from where there are views over the flower filled garden with its numerous palm and fruit trees. 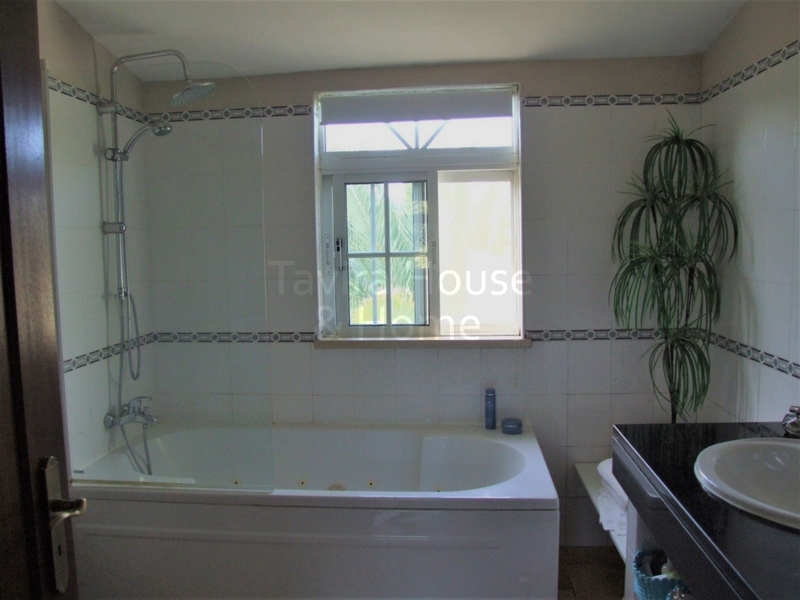 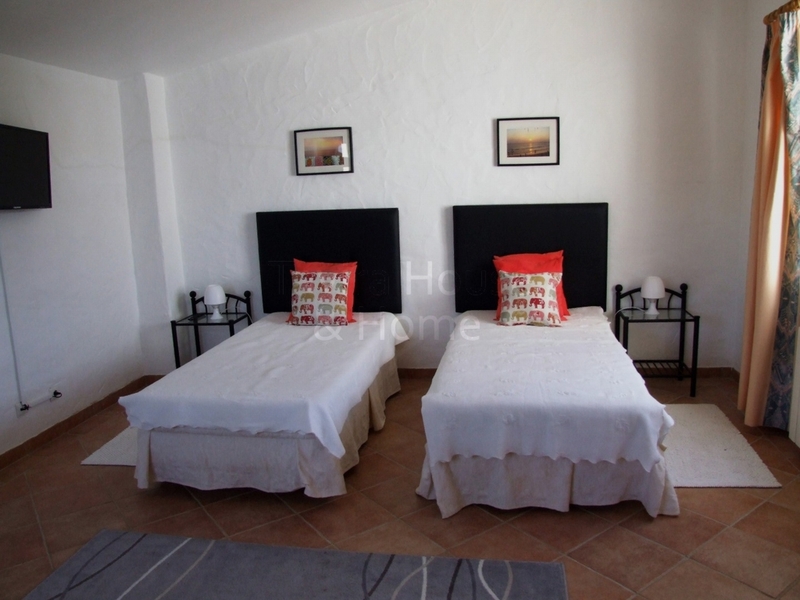 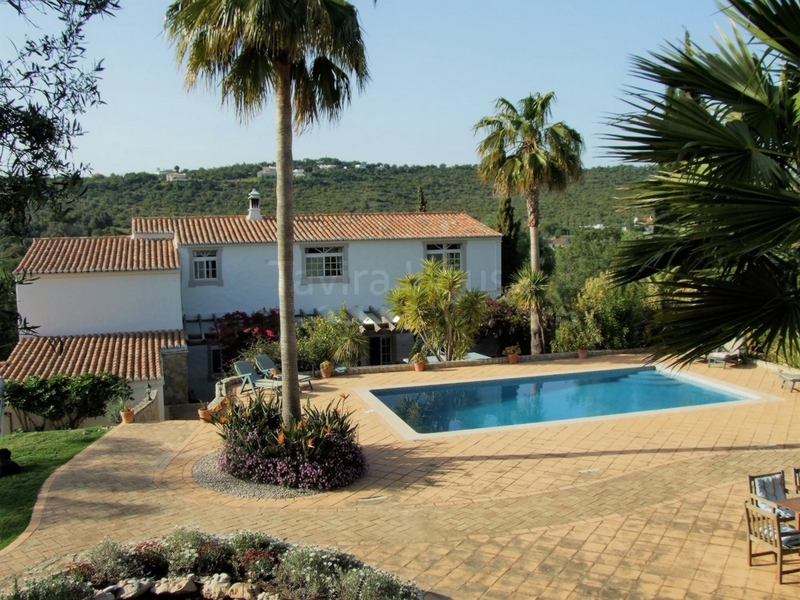 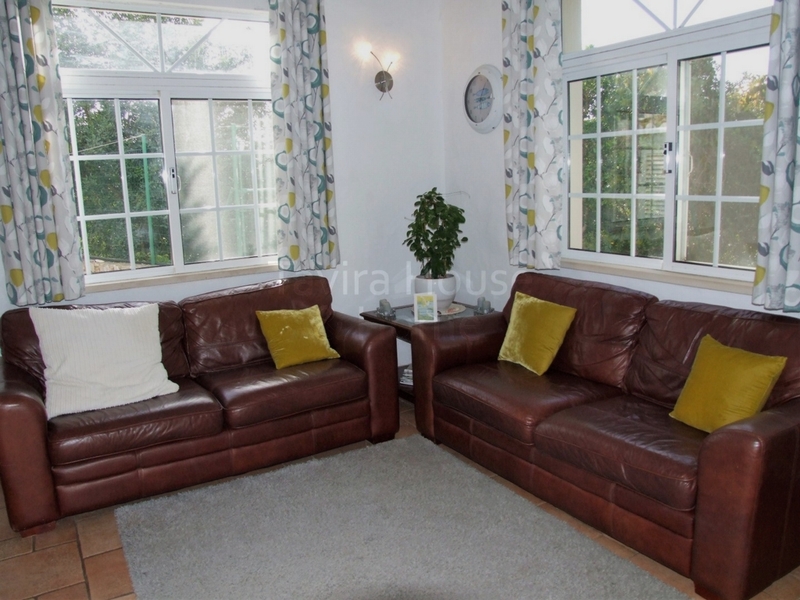 This quinta would make a comfortable permanent residence or an ideal holiday retreat. 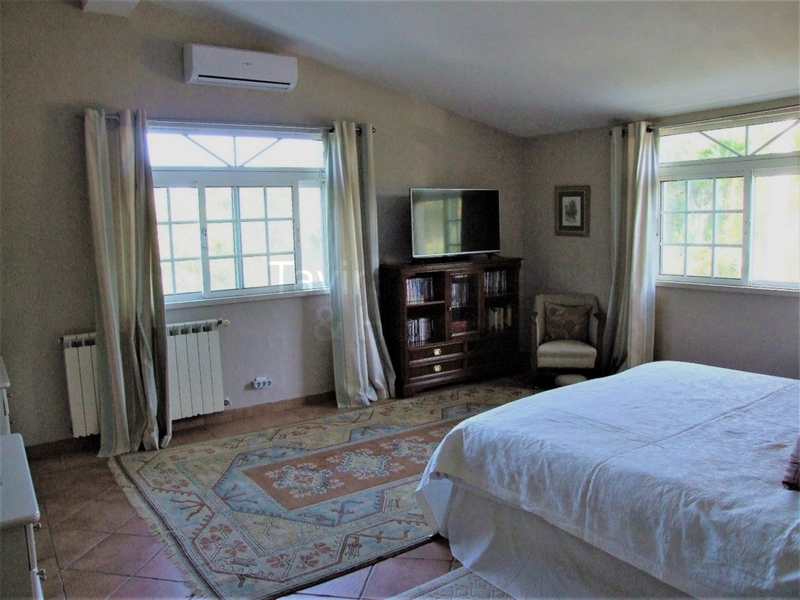 Essa típica quinta Portuguesa situa-se a cinco minutos de Loulé com visitas do campo a volta. 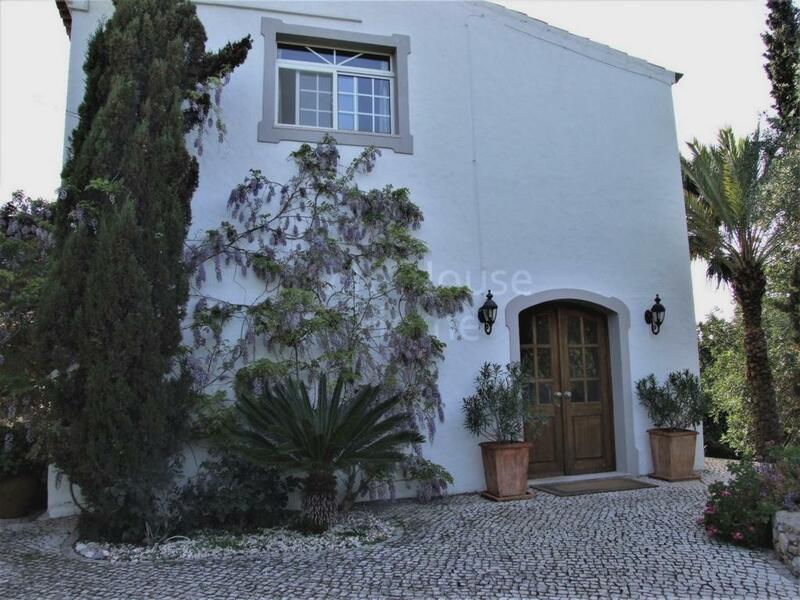 O terreno e jardim são bem cuidados e a casa está em ótimo estado de manutenção. 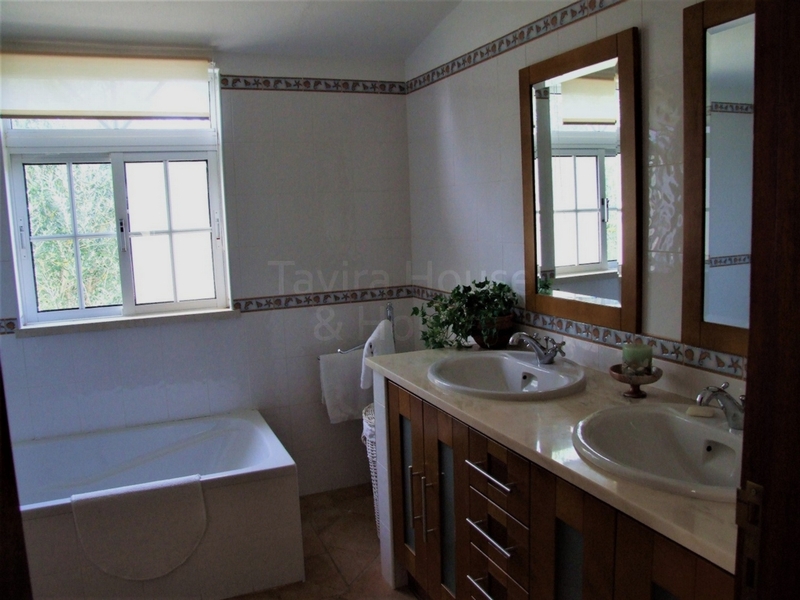 A propriedade de dois pisos é espaçosa e confortável com cozinhas e salas amplas. 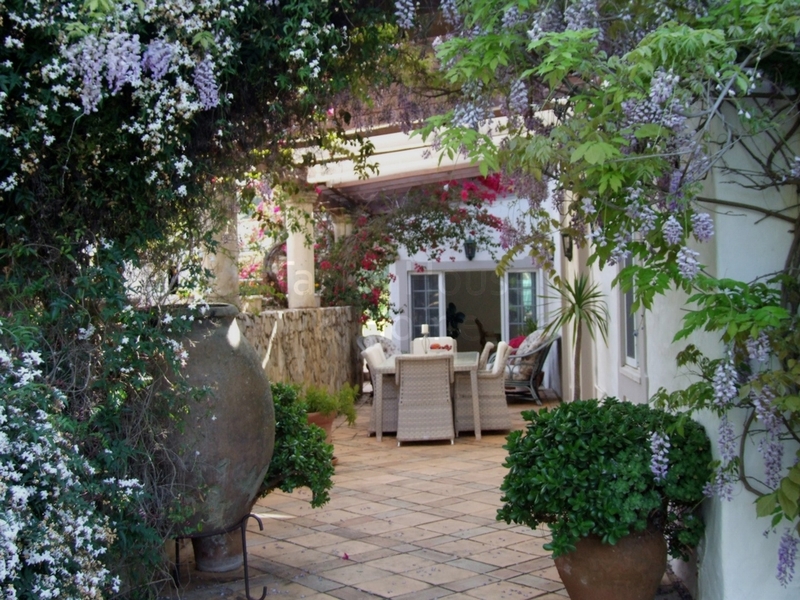 Há um terraço coberta ao longo da sala com escadas que levam à piscina, pergola e BBQ e zona de comer. 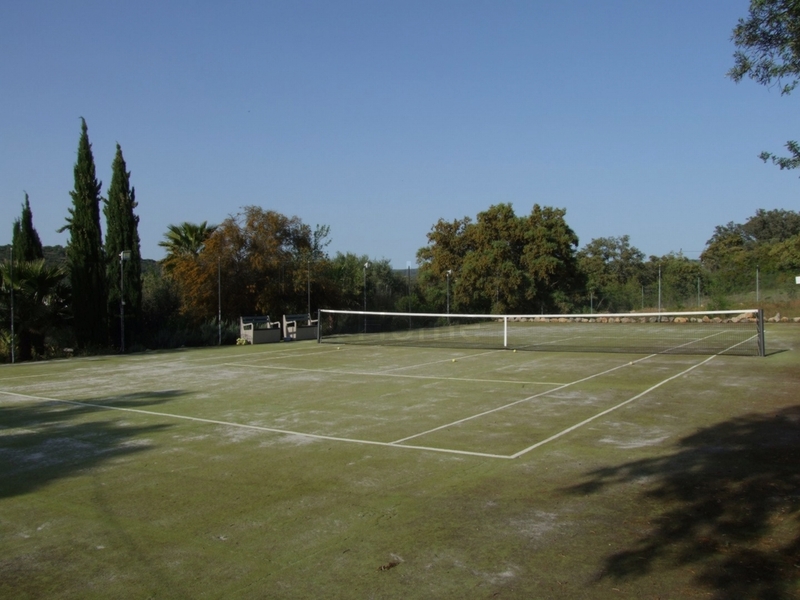 O campo de ténis fica numa elevação do terreno de onde há vistas do jardim cheio flores e árvores frutíferas.